This ill-conceived console add-on was not only a dismal failure, but it crippled Sega's future. 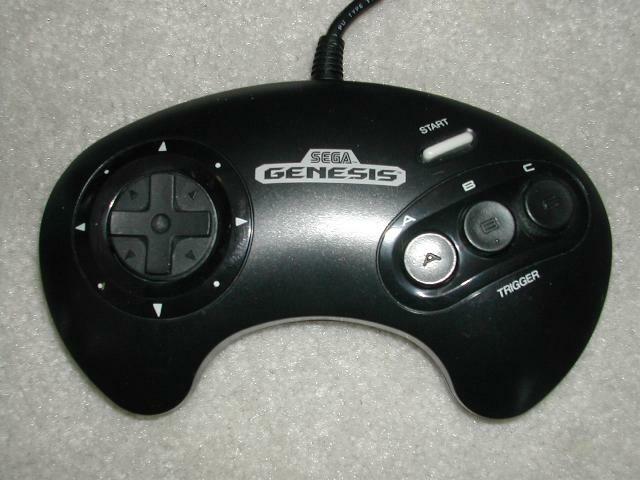 The 32X was a mushroom-shaped module that plugged into the top of the Genesis. Originally priced at $150, several $10 coupons for 32X games were generously included. Although the system contained two powerful 32-bit processors, it was hamstrung by its backward compatibility with Genesis games (not unlike the Sega CD). Although the 32X "launch" titles showed promise, the system never received any decent third-party support. 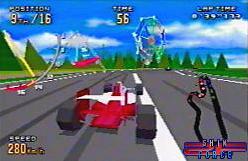 A few standout titles like Virtua Racing and Virtua Fighter nicely utilized its 3D polygon graphic capabilities, but most 32X games resembled Genesis titles with flashier colors. With an eye towards the next generation of systems, most gamers (and retailers) looked past the 32X, and the system was discontinued within a year after its release. A total of 36 games were released for the 32X (including four Sega 32X/Sega CD hybrids) so it's quite feasible to collect the entire library. Individual cartridges are not hard to locate, but since the games were packaged in cheap yellow cardboard boxes, collecting complete versions can be an expensive proposition. On a personal note, I embraced the system when it arrived, but quickly abandoned it with the arrival of the Sony Playstation. I can still recall the time I sold my Genesis system to a video game exchange store (a move I would live to regret). I was all about the new Playstation at the time, and anxious to unload my old stuff for cash. Apparently the store already had a load of 32X's, because the clerk refused to give me anything for it. He advised me to give it to a friend instead. Not knowing anyone I could offer it to, I told the guy he could have it for free. Not only did he refuse to take it, but he warned me not to leave it on the counter! It was a funny situation, and I think that illustrates how poorly the 32X was regarded by the end of its short life cycle. When I began (re)collecting old games in the late 90's, I (re)purchased a brand new 32X on-line for a paltry $19.99. To this day, the 32X is considered a source of great amusement among collectors. 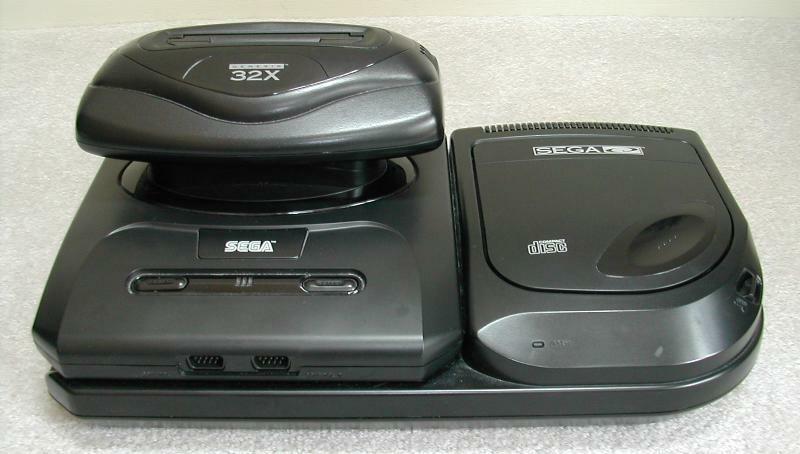 Console design: D. The 32X didn't mesh well with the Genesis base system. Designed to suggest a turbo-charged motor protruding from the hood of a muscle car, it actually looked more like a mushroom. It also added a mess of wires and its own freakin' power adapter. If you already had the Sega CD add-on, topping it off with a 32X created an unsightly, black plastic monstrosity. Adding insult to injury, its three bulky adapters were capable of producing brownouts in small towns. Console durability: A. Since there are really no moving parts in the 32X, it doesn't break easily, even after being tossed in a garbage can (this has been verified on a number of occasions). Controllers: B. The Sega 32X uses the same controllers as the Sega Genesis. These are highly regarded, despite their limited number of buttons. Media: B-. 32X cartridges are slightly larger than their Genesis counterparts, but lack an end label. 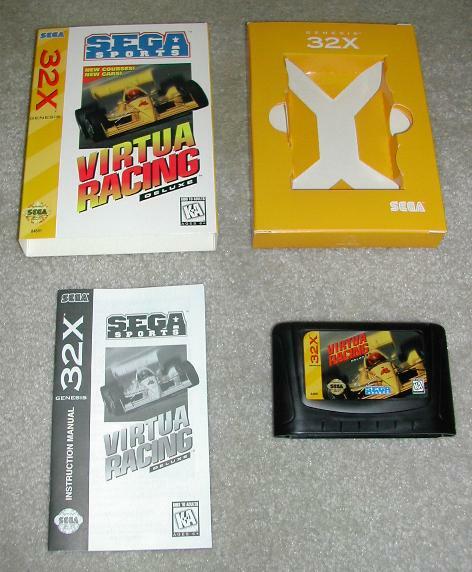 Packaging: D. While Sega's yellow and gold color scheme was attractive, the fact that most 32X games were packaged in cheap cardboard boxes was a real turnoff. Why Sega didn't stick with those sturdy plastic cases is beyond me. If the idea was to save a few bucks, then shame on them. Games: D. The small 32X library is loaded with mediocre titles, and even some of the more innovative efforts like Kolibri (a hummingbird shooter) and Knuckles Chaotics (two characters bound together) fell flat. The one game that truly stands out is Virtua Racer - it's the best version I've played to date. Graphics: C+. Only a handful of titles like Virtua Fighter, Virtua Racer, and Shadow Squadron truly demonstrated what the 32X was capable of. These games feature smoothly rendered 3D polygon graphics. Most 32X games simply utilized the system's extensive color palette, sometimes with disastrous results; e.g. the shamelessly gaudy Cosmic Carnage. Shooters like Space Harrier and Afterburner attempted to demonstrate the system's scaling capabilities, but these were hampered by severe pixelation. Audio: C. The 32X was supposed to utilize "Q-Sound" technology, but I couldn't tell the difference between this and standard Genesis audio. Collectability: B. Collectors may value their 32X collections, but casual gamers won't miss this ill-conceived contraption. The main component of the 32X is easy to acquire, but it can be difficult to locate one with all of the necessary connective parts and wires. I'd recommend acquiring a complete system in the box. Most 32X games are easy to find unless you are looking for the complete versions. Two of the more difficult to track down games are World Series Baseball and Spiderman: Web of Fire. Innovations: First console add-on to upgrade CPU power. + Possible to collect entire library. - Weak selection of games.